We are excited to announce the first release of CloudSharper Local, a spin-off of CloudSharper that uses your local machine to serve the main CloudSharper front-end. 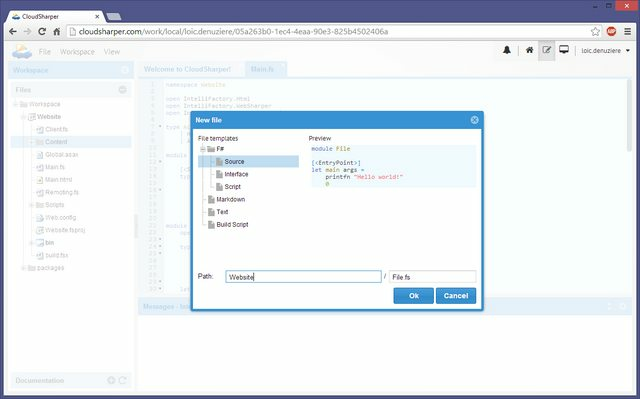 CloudSharper is an awesome new way to work with F# on the web. It enables you to use F# to easily connect to various data sources and visualize data from those data sources in rich HTML5 charts and diagrams. You can also develop HTML5 games, web and mobile applications in pure F# code, and you will feel more productive than ever. 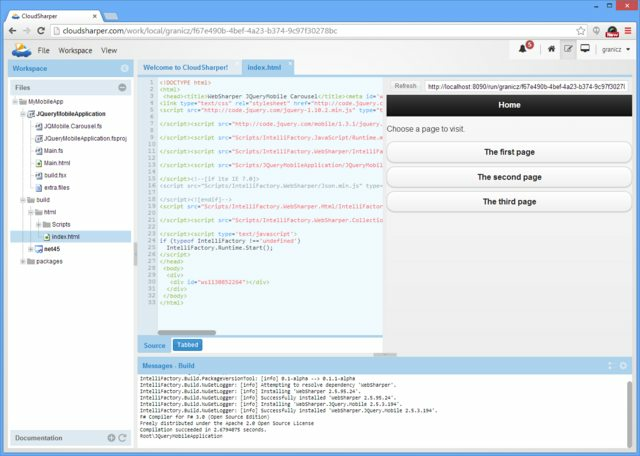 CloudSharper comes with a set of project templates to easily get you started and gives you full-fledged interactive web programming capabilities to test on the fly and in small before you deploy your larger applications. 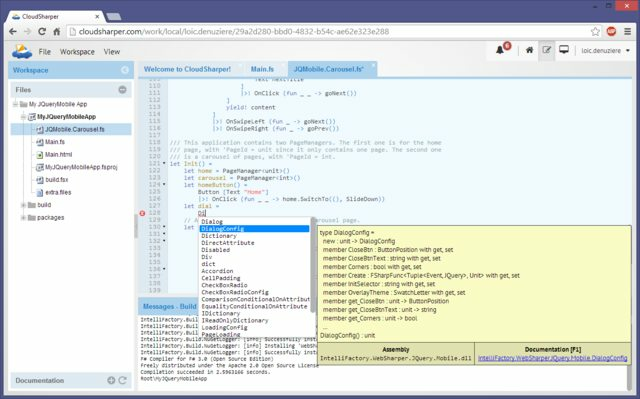 CloudSharper Local is the first in the line of CloudSharper releases. It addresses the most immediate needs of keeping your sensitive project files on your local machine and providing you with a highly customizable and extensible local development server. We'll be blogging more about the various capabilities this local server can provide and how you can further enhance it and better tailor it to your needs, but even in its basic form it can act as a file, web, and coding server, supporting all functions of the current CloudSharper front-end. You can get started by registering your new CloudSharper account on the Home page, and downloading and starting the local server component as you log in. To dip your toes in the water, create a new empty workspace, add a new project to it from the various templates available, and hit Build (Ctrl+B). The first build might take a little while as it needs to download several Nuget packages to complete, but once your sample app is built you can test it against your running local server by choosing Deploy locally... (Ctrl+D) from the Workspace menu. Happy coding and stay tuned for more awesome enhancements!